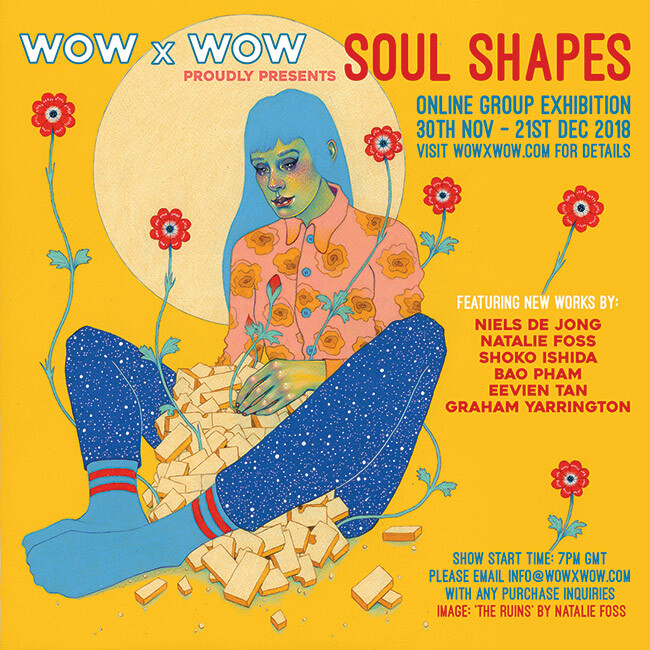 WOW x WOW Gallery is super excited to announce Soul Shapes, a six person exhibition featuring new works by Niels de Jong, Natalie Foss, Shoko Ishida, Bao Pham, Eevien Tan and Graham Yarrington. The six participating artists all share a passion for stylised figurative exploration, where shape and form are infused with spirit and vitality. Soul Shapes opens here on wowxwow.com at 7pm GMT on 30th November and will run until 21st December. 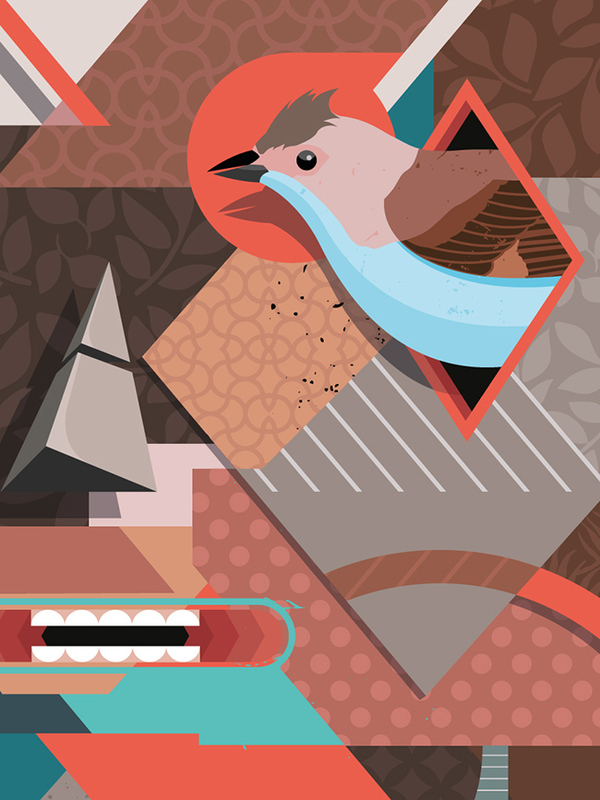 A detail of ‘Perspective’, one of four fabulous new works by Niels de Jong for Soul Shapes. Niels de Jong was born in the Netherlands and is currently living and working in Buenos Aires, Argentina. In his period of School and Academy Niels was always involved in different fields such as graphic design, 3D modeling, architecture, wood working and finally Graduated in Urban Design (Urban Interior Achitecture) at the HKU in Utrecht, the Netherlands. A fantastic work-in-progress shot of ‘From Dust to Dust’ by Natalie Foss. Natalie Foss is a freelance illustrator and artist based in Oslo, Norway. 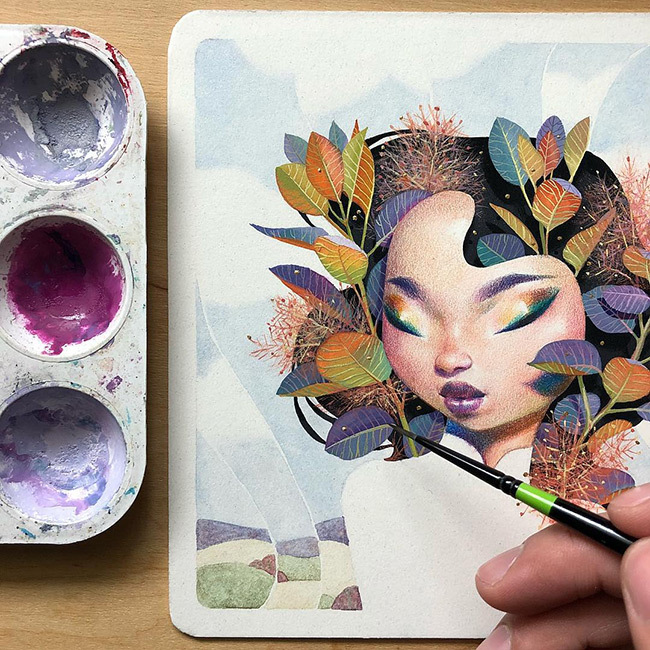 She graduated with a Bachelor degree in illustration from Kingston university in 2013, and draws primarily with coloured pencils on paper, focusing on bold colours and emotions. Natalie works in different fields, from personal projects and exhibitions, to commercial commissions. In her drawings she mixes the flat, almost graphic, with the 3-dimentional and detailed – often portraying alienated beings adorned by 60s/70s inspired pattern and motifs. She finds inspiration in the everyday life, all from thoughts and experiences, the up and downs, to people, music, subcultures, fashion, patterns, light/shadow and other observations. Shoko Ishida creating some beautiful (soul) shapes in this piece, titled ‘Under Your Light’. 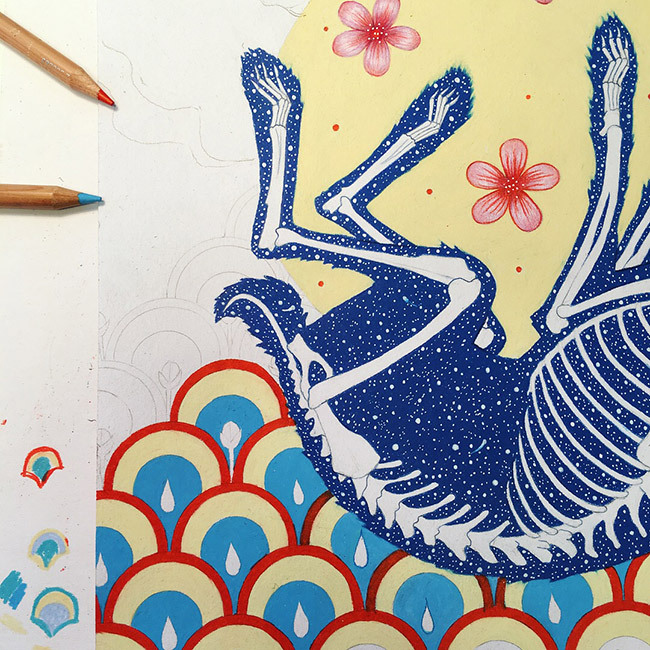 Inspired by the nostalgic culture, stories, and musics of Japan, the delicate, and the bold, Shoko Ishida strives to create works that sparks a story. Going back and forth with traditional and digital medium, the coffee and tea enthusiast creates her works in the studio with her golden retriever sleeping by the desk. Shoko Ishida currently lives and works in Michigan, USA. Bao Pham focusing on some of the beautiful details of ‘Smoke Signal’. Bao Pham is a Vietnamese painter and illustrator currently living in Iowa, US. Featured in art magazines such as ImagineFX, he is considered a master in his field. His domain of expertise is the one of portraits, more specifically fantasy-inspired characters, both male and female, often surrounded by matching natural settings bathed in light and shadow. Pham’s brushwork is soft, precise and colourful. 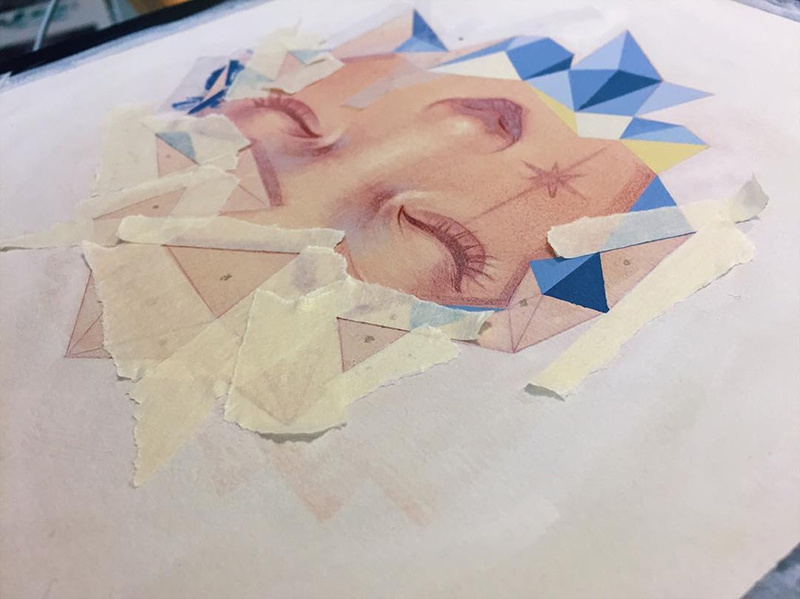 A stunning work-in-progress shot of ‘Celestial’ by Eevien Tan. 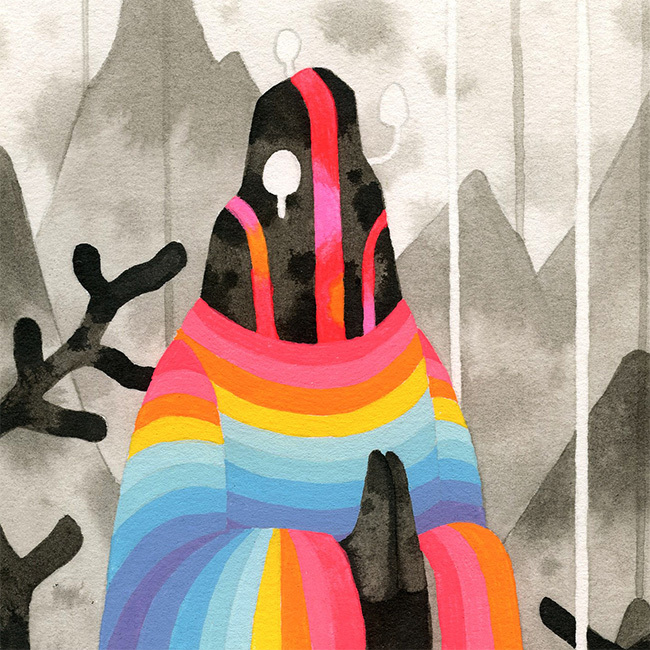 Eevien Tan is an illustrator and graphic designer based in Melbourne, Australia. Her work is heavily inspired by traditional fine arts and sculpture. She strives to portray through her work the projected image of expression, depicting subjects of a surreal nature which orbits female portraiture. 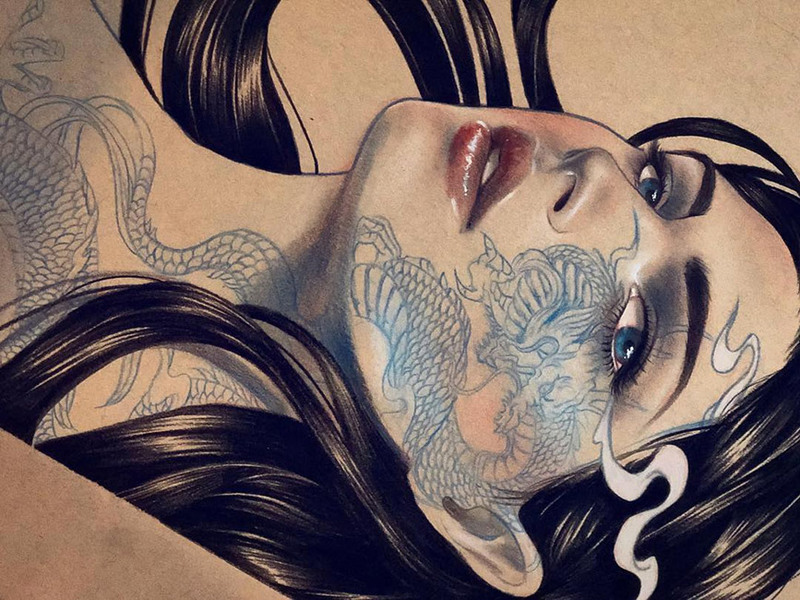 She specialises in digital illustration as well as traditional mediums including coloured pencils, inks, and markers. If you are interested in receiving the Collector’s Preview for Soul Shapes, please email us at info@wowxwow.com. Thank you.